Have you ever seen apparel with raised graphics that seem to be coming right at you? I had seen these designs before, but never really understood how this design was achieved. This type of design is called 3D raised embroidery. This technique gives custom designs a 3D look and feel, much like the designs are coming right at you. The design process is the same as it is with our other services, but the manufacturing method is different. Our 3D embroidery process can also be used on almost any type of apparel, allowing you to get exactly what you are looking for. This technique is also a lot of fun because not only do you get play with colors, but you get to be creative with layers. It’s almost like building a sculpture, except this is artwork you can wear proudly. 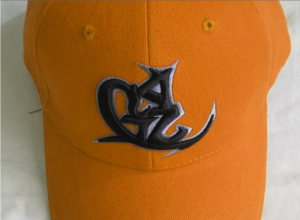 What Types of Apparel Work Best with 3D Embroidery Services? As awesome as 3D raised embroidery is, it’s not meant for every type of fabric. For example delicate fabrics tear easily when exposed to this technique and should not be used. However, there is a wide variety of types of clothing and fabrics that can be used with 3D embroidery, these include; sturdy fabrics, blankets, hats, beanies, jackets, and much more. As mentioned above, thin delicate fabrics such as silk, satin, or lace are not recommended because they will tear very easily due to the type of sewing that this type of embroidery requires. This type of stitch work is referred to as high density and it is used to allow the layers and colors you want build up properly. The best way to get this look is to have a sturdy base fabric. Regular embroidery is pretty straightforward, but 3D embroidery is a pretty cool technique that gets the volume of a 3D look by using foam. 3D Embroidery often called raised embroidery, or Puff Embroidery is achieved by placing a layer of foam on the area where the design will be embroidered. This puffy foam is responsible for achieving a three-dimensional effect. So go to our design tool and see what kind of masterpiece you can create. Contact us today to learn more about our 3D raised embroidery services. We are based in Northeast Minneapolis, Minnesota, and proudly serve all of the Minneapolis/St. Paul area and ship products to customers nationally and all over the world.